Please find attached the first PA Canoe Marathon Newsletters. This was recently circulated to paddlers who participated in the 2018 Australian Marathon Championships. 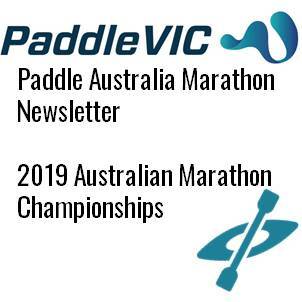 This newsletter contains information about future changes to selection to Australian Canoe Marathon Teams and information regarding the 2019 Australian Canoe Marathon Championships in Perth. We are currently investigating options to arrange for boat transfer to Perth for the 2019 Australian Marathon Championships on 17th-19th May and shall advise this as soon as possible. Entries for the Australian Marathon Championships are expected to open shortly.